The Boker Anti-Grav Manual Folder is an incredibly lightweight knife that is sleek and slim, making it ideal for pocket carry. The ceramic blade is non-magnetic and provides outstanding edge retention and corrosion resistance. The carbon fiber handle is durable, corrosion resistant and features a strong liner lock mechanism. 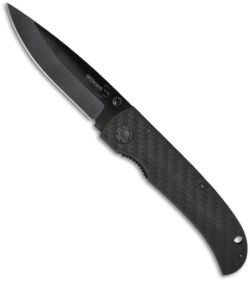 Includes tip-down pocket clip and lanyard hole for secure handling. The Anti-Grav pocket knife is an excellent knife that is truly unique! Not a daily carry knife, but fantastic quality. The carbon fiber and ceramic blade combine to make an incredibly lightweight knife. The blade is one of the sharpest factory sharpened knives I've ever handled. As I said, it's not a daily use knife, because the ceramic makes it somewhat fragile and not at all suited for any types of side loading or prying. As such, I haven't used the knife enough to determine how well the blade retains an edge, but it seems fantastic so far. 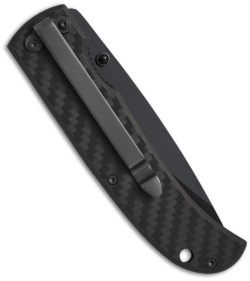 Good choice for a low visibility "gentleman's carry option" Besides the ceramic blade is plain cool. Excellent for food prep. Unimaginably sharp.